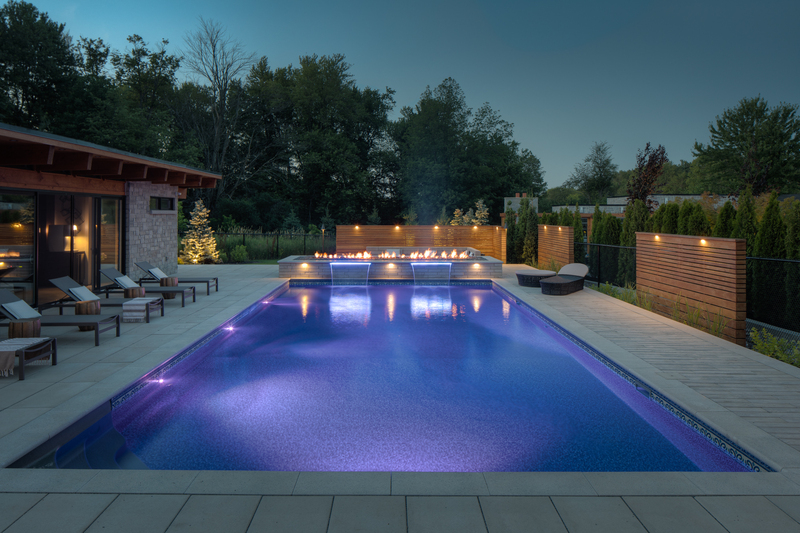 This 20×40 pool was built in collaboration with Cedar Springs and Techo-Bloc. It has 2 4ft sheer descents at the deep end of the pool with LED strip lighting at the mouth of the water feature. 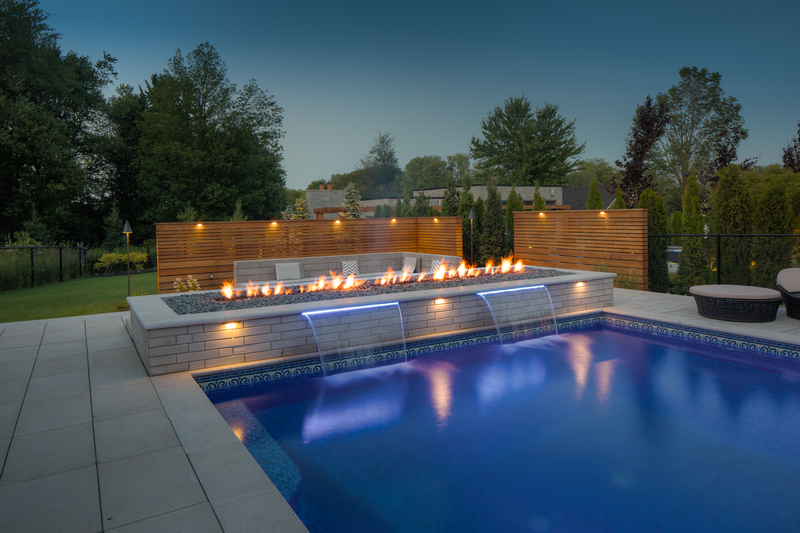 The pool has a custom bench in the deep end to enjoy sitting and relaxing next to the water and fire features at the end of the pool. There is a full indoor/outdoor cabana with a BBQ station next to it, perfect for hosting a variety of functions. 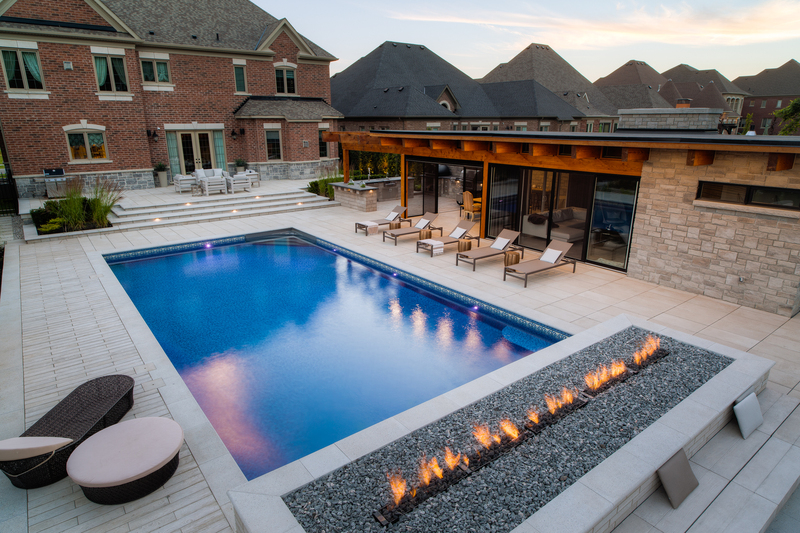 This backyard is perfect for hosting family and friends and gives a clean modern feel with the symmetrical design and placement of the cabana and pool.